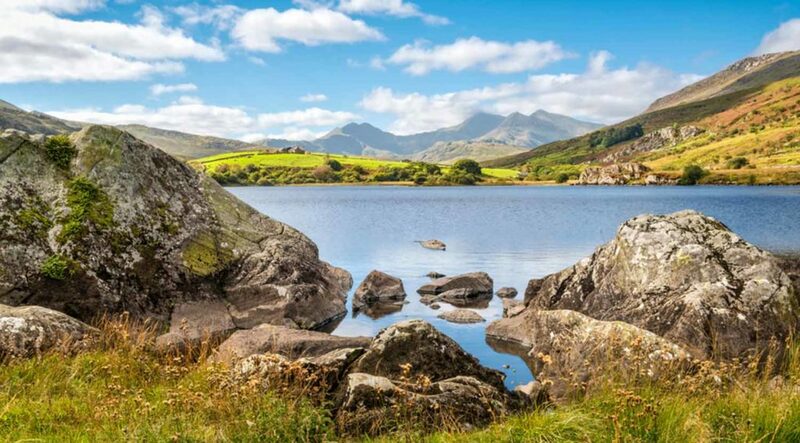 A circular tour of the southern end of Snowdonia National Park including Cadair Idris, quirky Portmeirion, formidable Harlech and balmy Barmouth. From mountain peaks to valleys, interesting towns and sandy beaches there is something for everyone from a seaside get away to hiking to everything for the adrenalin seeker. Small seaside resort with a wide sandy beach stretching into the distance, a pretty harbour on the Mawddach estuary and the headland of Dinas Oleu overlooking the old town. A great base to explore the area by car or on foot. The massive walls of the castle arise from the top of its rocky outcrop with views over the town and Tremadog bay. The unspoilt golden sandy beach backed by dunes stretches for miles. At one time the castle was captured by Owain Glyn Dwr and home to a Welsh parliament. Made popular by the 1960’s TV series the Prisoner the quirky village overlooks the river Dwyryd. Designed by Sir Clough Williams-Ellis in the style of an Italian Riviera town it is now a major tourist destination because of its multi coloured buildings and 70 acres of forest and garden. Local slate made Blaenau the town that roofed the world. 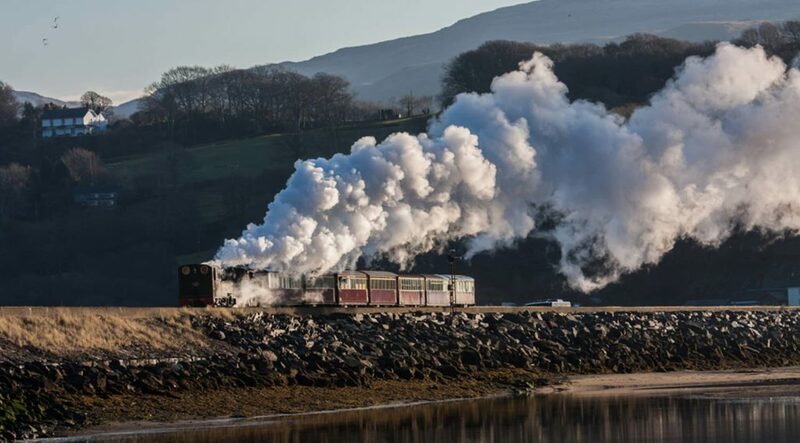 Travel the Ffestiniog and Welsh Highland railway to Porthmadog or visit the LLechwedd underground slate caverns. The more energetic can try Bounce Below - suitable for ages 7 plus. The twin lakes, Llynnau Mymbyr are about 4 miles longs and drain into the River Llugwy at Capel Curig on its way to the Conwy Valley. The panorama of mountains, moorland and rushing streams and still lakes can excite the walker or watcher alike, whatever the weather. Bala is an historic market town with a strong Welsh identity. 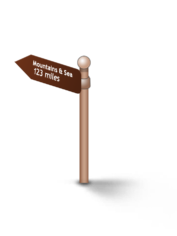 An area of mountains, valleys, forests, fast flowing rivers, waterfalls, lakes and reservoirs. The Tryweryn and Dee flow either side of Bala, creating Llyn Tegid – Wales’ largest natural lake. Whether it’s sailing, canoeing, on or off-road biking or hiking you’ll find an outlet for your interest here. 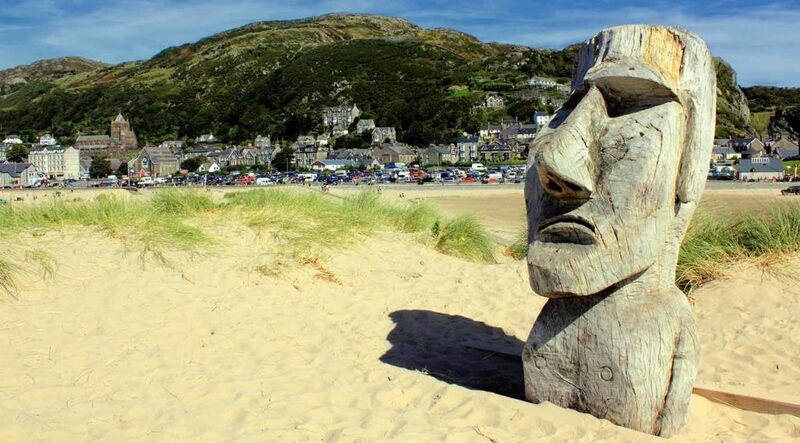 The handsome, dark-stoned market town is set beneath Cader Idris, the legendary ‘Chair of Idris’, on the approach to the beautiful Mawddach Estuary. Take a short walk to the Cymer Abbey ruins or just a bit further to the 5 arch Llanelltyd bridge over the Afon Mawddach. This trail is in a largely unspoilt part of the country, less crowded than some of the popular family beach resorts elsewhere in North Wales. 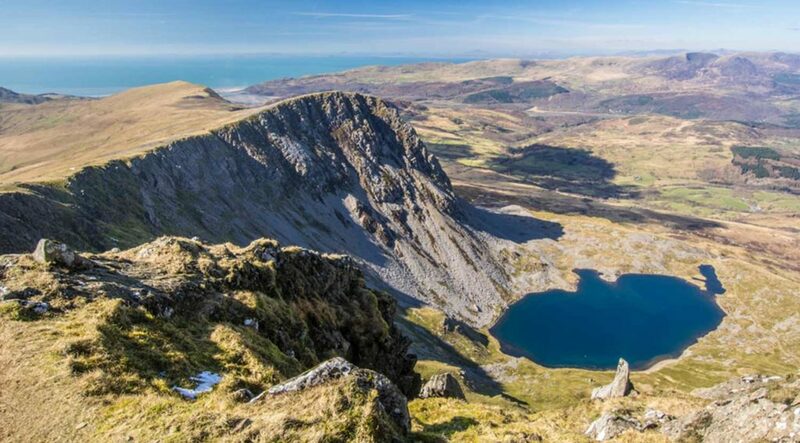 Start at the foot of the mountain peak of Cadair Idris; the 6 mile Pont Path is the easiest footpath with views over the countryside carved by the last ice age. Drop down into Dollgellau on the banks of the River Mawddach with plenty to see including the bridges and the ruins of Cymer Abbey. Travel inland through rolling farming countryside towards Bala Lake. This natural lake provides access for a feast of water sports, pleasant walking and hiking trails. Past Gwydir national forest with its walking, hiking and mountain bike trails to Betws-y-Coed, a major tourist destination since Victorian times. Detour up the valley of the Llugwy to the spectacular scenery of Capel Curig and head for Blaenau Ffestiniog, an unusual tourist attraction with former slate workings and caverns providing much to see and do, and the terminus of Ffestiniog railway whose route to the coast provides breath-taking scenery to Portmadog. 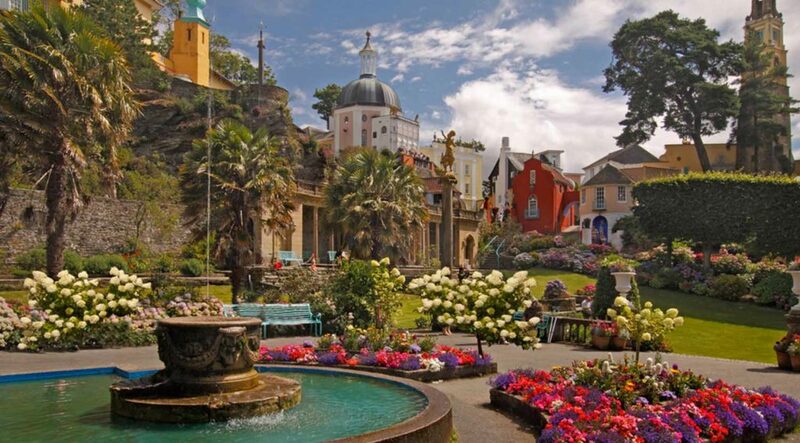 Nearby, colourful and Italianate inspired Portmeirion, used as a backdrop for the Prisoner, is well worth the visit. Harlech offers a formidable castle and sandy beaches and finally on to the harbour town of Barmouth at the mouth of the Mawddach. Eponymous for slate production this area could be said to have roofed the world. Now it provides an insight into industrial history and a series of adrenalin seeking opportunities. 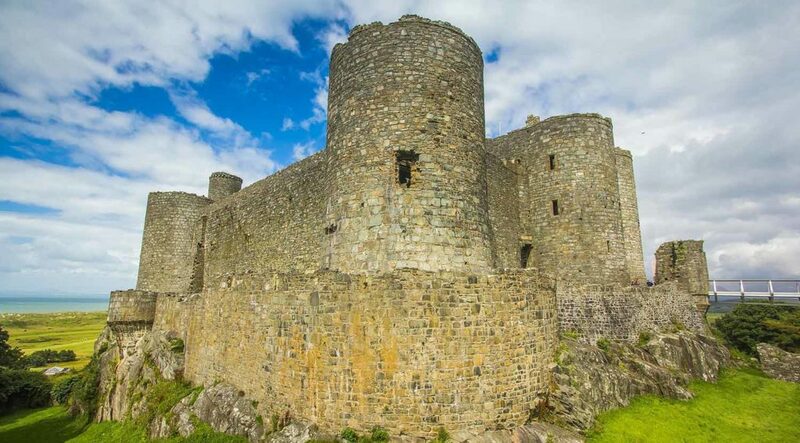 Wide open golden sandy beaches, dunes where the mountains meet the sea and the mighty Harlech Castle will appeal to those that appreciate great views, walking trails and less crowds. Rushing mountain streams, tranquil Ice Age lakes, waterfalls, forest trails, moorland and mountainside are a feast for the eyes. The above average rainfall ensures this part of Snowdonia is definitely green.